"Is there an easy way to convert a PDF to a Pages document?" As we know, Pages for Mac is a Word processor program which is part of of a trio of applications from Apple's iWork. There might be times you need to convert PDF to Pages so you can more easily edit your files. 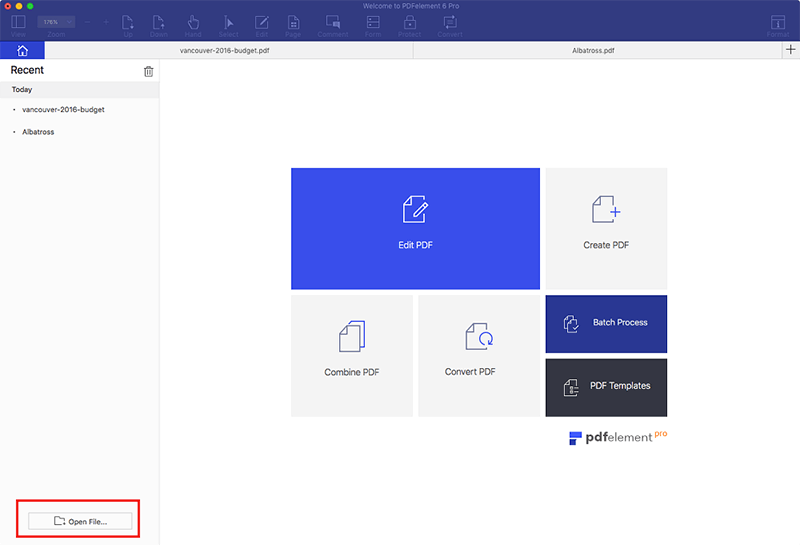 In this article, we’ll share useful tips for how to convert PDF to Pages quickly and easily with PDFelement ProPDFelement Pro. 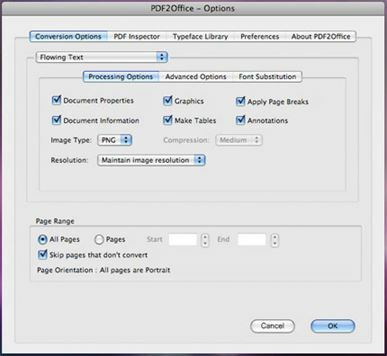 If you want to convert PDF to Pages without hassle, a great recommendation is to use PDFelement Pro. 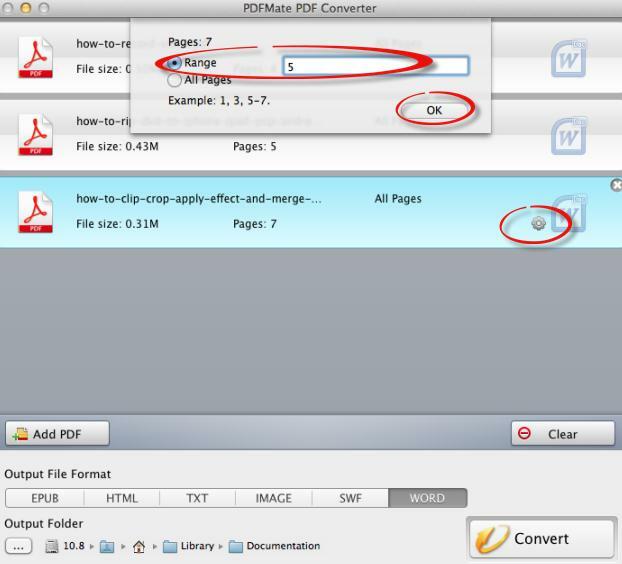 You can follow the below simple steps to convert PDF to Pages easily. Just download, install and run PDFelement Pro for Mac. 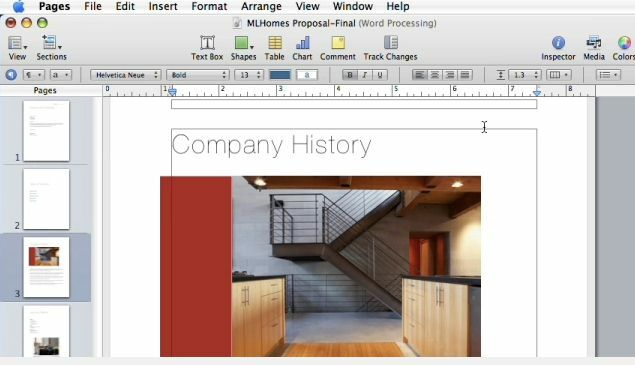 You will then be able to convert PDF files to Word documents, and then import them to Apple Pages for editing. Alternatively, you can edit PDFs first with this Mac OS PDF to Pages converter and then convert it to Word so it can be easily opened with Apple Pages. You can directly edit text within your PDF files. Click the "Edit" button and then double-click on the text you intend to modify. You can also just hit the "Add Text" button and then click on the area where you want to enter text or correct an error. If you want to markup PDF text, just choose from tools like Highlight, Underline and Strikethrough on the top right corner of the toolbar. Then, select the PDF text you want to perform one of these actions on. For annotations, you can get the desired tool just by clicking on the "Markup" button and then select the annotation tools you need. Convert PDF to Pages: After you've edited your PDF file, you can open the "Convert" button and choose the "To Pages" option. Then you can set the page ranges on the right side toolbar and then click on "Convert" to convert PDF to Pages with ease. Convert PDF to Word and import to Apple Pages: Next, convert the edited or non-edited PDF to Word on Mac so you can open the document with the Pages application. To do so, click the "Convert" button on the top right corner. In the popup window, adjust settings as desired before converting to Word format. 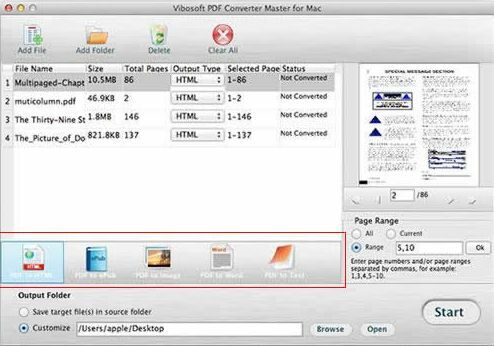 With this Mac PDF to Pages converter, you can convert PDF to Word format which can then be imported to Apple Pages on Mac for continued editing or exporting to other formats. This lets you modify the PDF documents and pages more efficiently. 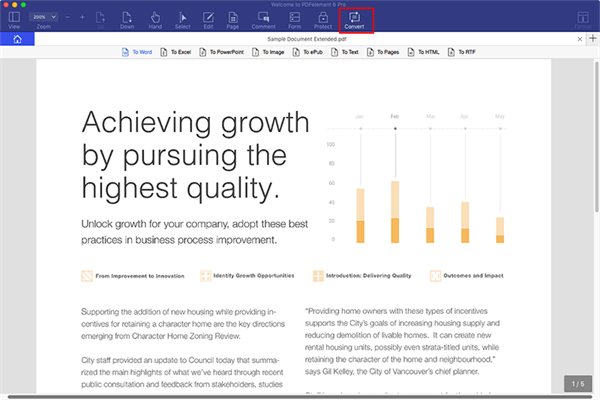 You can edit elements such as text and images in your PDF files as easily as you would in Pages. You have full control of your PDF pages - you can move, extract, delete, crop, rotate and of course, add or insert a page. You can convert PDF to Microsoft Office Word formats after editing them, retaining the texts and graphics formatting. You can also combine multiple PDF files into one or split PDFs into several files. Its advanced OCR feature allows you to edit and convert scanned PDFs to Word and other formats. 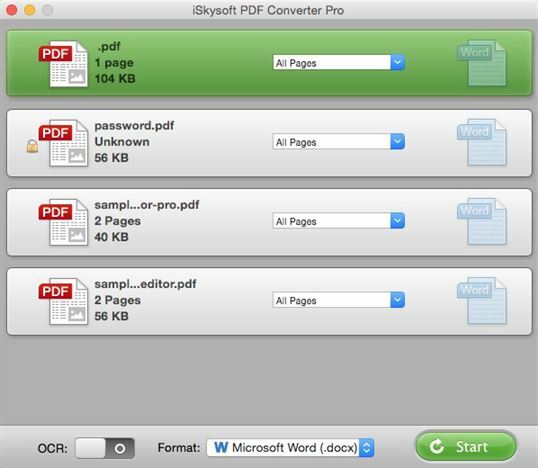 iSkysoft PDF Converter Pro for Mac is a handy tool when it comes to converting PDF to Word or other formats. It is easy to use even for beginners. You can simply process the PDF conversion using the drag-and-drop method. Convert PDF to Word and other editable formats. Batch convert PDF at quick speeds. Convert encrypted PDF files securely. Convert scanned PDFs using the OCR feature. Retain 100% original formatting and layout. This converter helps you convert PDF files into editable Apple Pages, Keynote, or other file types by recreating the document layout. It creates form paragraphs, applies styles, extracts images, regroups independent graphic elements, and creates tables automatically without any manual intervention. It provides you with detailed options that will help you fine-tune the conversion process. For instance, you can simply specify the substitution fonts and convert the whole PDF files to Pages format. Pros: It has a user friendly interface, fast conversion speed, and it supports batch processing. Cons: Selecting individual output files during batch processing can be challenging. This is an all-in-one converter that not only allows you to convert your PDF documents to Pages, but also many other file formats. It has a neat user-friendly interface, is easy to install, and has a top toolbar that displays all the necessary tools. With its drag-and-drop feature, you can add files or even an entire folder into the program and then choose the output format as well as the destination folder that you want to save the file to after conversion. Pros: It has a user-friendly interface, and it allows you to convert scanned PDF documents. Cons: There is a free version but you will need to install the premium version to enjoy more advanced features. This converter provides you with an intelligent, yet simple user interface that enables you to convert, share, edit, and assemble your PDF files. It allows you to perform batch conversion of PDF files to Pages and other file formats. You can also flexibly choose the page ranges that you want to convert by specifying the page number. Pros: It has a simple user interface, and allows batch and partial conversion. Cons: File names can be recovered incorrectly during the conversion. This is a 6 in 1 converter that lets you convert PDF files to Pages and other file formats easily and accurately. It has a simple and easy to understand user interface and it supports batch conversion. It also preserves the original quality of content after conversion. Pros: Supports batch conversion and runs in high speed. Cons: It is quite complicated for new users. If you want to convert your PDF files to Pages on Windows, you will need the help of a third party PDF tool. The following are some of the converters that will help you perform this task. iSkysoft PDF Converter for Windows allows you to quickly convert your PDF files to Word files and other file formats for further editing. It enables you to import multiple PDF files and convert all of them at once to different output formats, or you can also convert a selected section of the file if you prefer. It supports both batch and partial conversion. It allows you to customize output settings. You can convert protected PDF files. Preserves all elements of the original file. Converts scanned PDFs using the OCR feature. 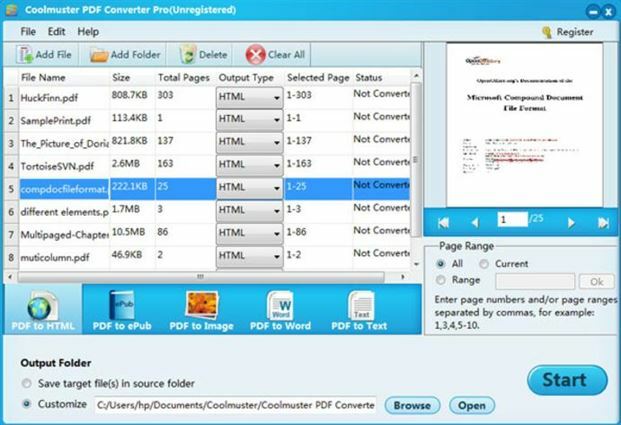 This converter allows you to convert your PDF files to Pages-friendly formats. During conversion, you can set the PDF page range as well as page numbers if you do not want to convert the whole document. Pros: It supports various output formats at a time. It features a high conversion speed, and has a simple and user friendly interface. Cons: It comes at a cost. The program is not free to use. 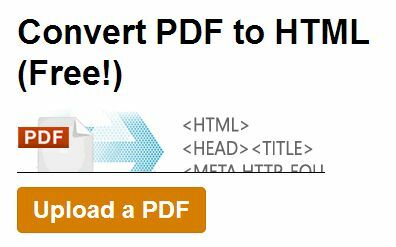 This free PDF to Pages converter lets you convert PDF files to Pages and other editable file formats easily. You can also use it to merge PDF files in just a few simple steps. It supports batch conversion and it has a user interface that is simple and clear. Pros: It has a simple and user-friendly interface. It allows conversion of scanned PDF documents and it supports batch conversion. Cons: The trial version only allows you to convert 3 pages. 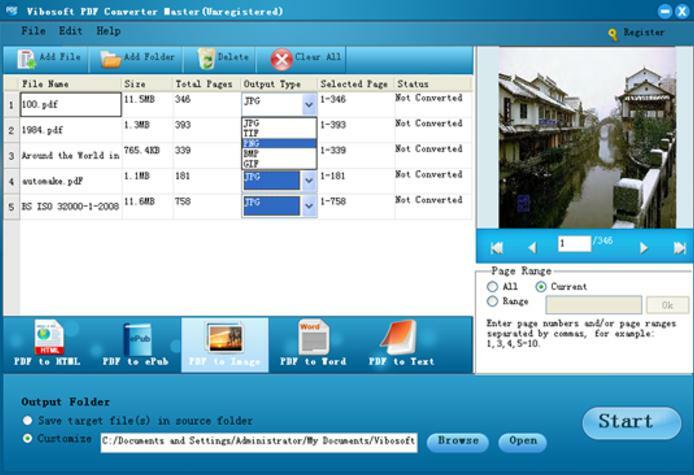 This converter enables you to convert PDF files to Pages and other output formats. It supports batch conversion and it does it at a very high speed. It retains the original page layout of the PDF file after conversion. Cons: It is not free and takes some time to learn for new users. This converter allows you to convert your PDF documents to Pages and other file formats within seconds. 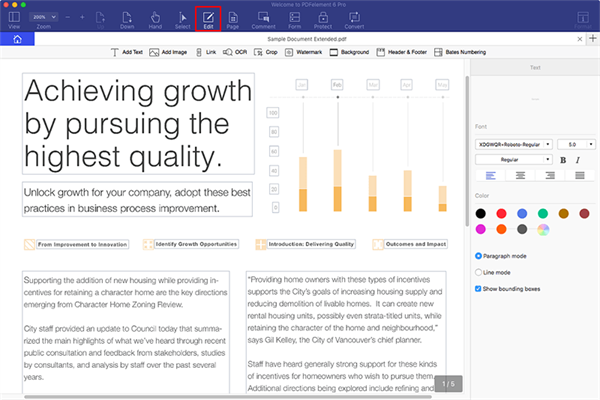 It intelligently builds paragraphs, columns, sections and also creates tables and regroups independent graphics in order to fully create the layout of the original file. It is very simple to use. Pros: It allows conversion of scanned PDF documents. It offers batch conversion as well as advanced customization for output files, and it preserves the original format of text, images and graphics after conversion. Cons: It is a little bit complicated for new users. You can convert your PDF document to Pages online without necessarily having to download software. The following are some of the online converters that you can use. 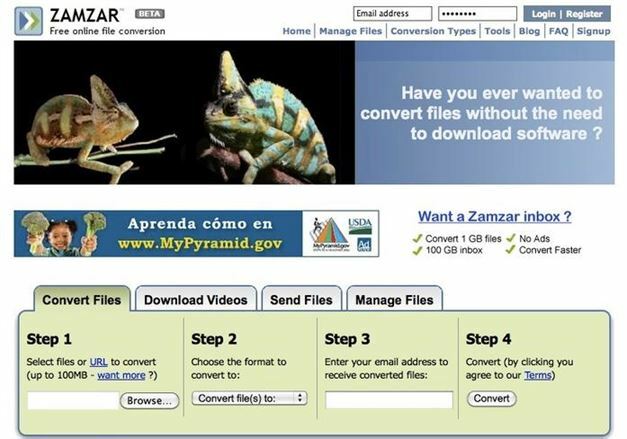 Zamzar allows you to convert PDF documents to Pages and vice versa without having to download any software. It also allows you to convert the PDF and Pages files to other various formats. All you need to do is choose the files you want to convert, choose the format you want to convert to, and then enter your email address. The converted files will be sent to your email address. Pros: You do not need to download any software and it is free. Cons: You will to enter an email address to get the converted file. This converter not only allow you to convert PDF documents to Pages, but also to other file formats such as Word, PowerPoint and Excel. You can also use it to convert these file formats back to PDF quickly and reliably. All you need to do is select the file or URL that you need to convert and then enter the email address that the converted file will be sent to. Pros: You will not need to download any software. It allows you to convert unlimited number of files and there is no delay between the conversions. Cons: You will need to enter an email address to get the converted file. You can easily convert your PDF files to Pages and other file formats using this converter. It allows batch conversion and you can also use it to merge, edit, or unlock PDF files. Pros: It allows batch conversion. You can easily access it online and it is free to use. Cons: It may not work well on some browsers, especially older ones. 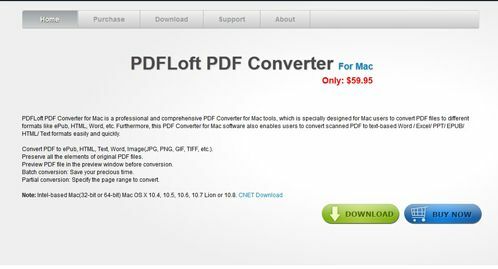 With this converter, you can convert PDF files to Pages as well as other file formats such as Word, HTML and vice versa. It automatically maintains the original formatting of the content of the PDF files after conversion. Pros: It is free of charge, and retains all the formatting of the PDF content after conversion. Cons: It takes a long time to load files. This converter allows you to convert and edit PDF files both online and locally very easily. You can specify the range of pages that you need to convert if you do not want to convert the whole document. All you need to do is locate the PDF file that you need to convert to Pages or any other file format and then upload, or you can also use a URL to input an online PDF to be converted. Pros: You can easily access it online. It is free of charge. Cons: The file size is limited to 10MB. 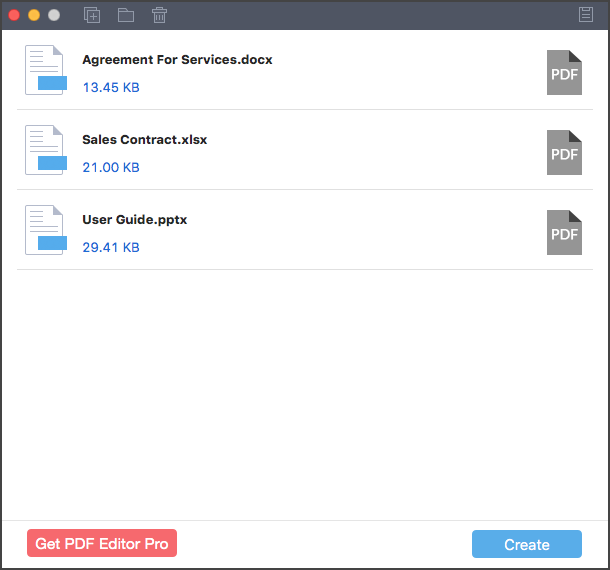 For Mac users, you can use iSkysoft PDF Creator for Mac (PDFelement Pro for Windows) to convert MS Office to PDF easily. Even if you don’t install MS Office applications on your Mac, you can use this Mac PDF Creator to convert Word, Excel and PPT to PDF. Create high quality PDFs from Word, Excel, and PowerPoint. Batch create PDFs from multiple Microsoft Office files. Create PDFs with the original formatting and layout. Step 1: To enter text into a blank Pages layout document, start typing the text in a selected area or you can paste text from another document into your document. However, before you do that, you will need to create a text box. Step 2: In order to add text to the text box, you will need to click on the Text Box icon that is usually located in the toolbar at the top of the Pages document. You will need to replace the placeholder text in the text box by either typing or copying and pasting new text into it. Step 3: To change the font, style or size of text in the Pages document, you will need to select the text that you want to change. After that you will need to go to Format, and then Font, and then Show Fonts. After that, make your selection from the Font Palette.